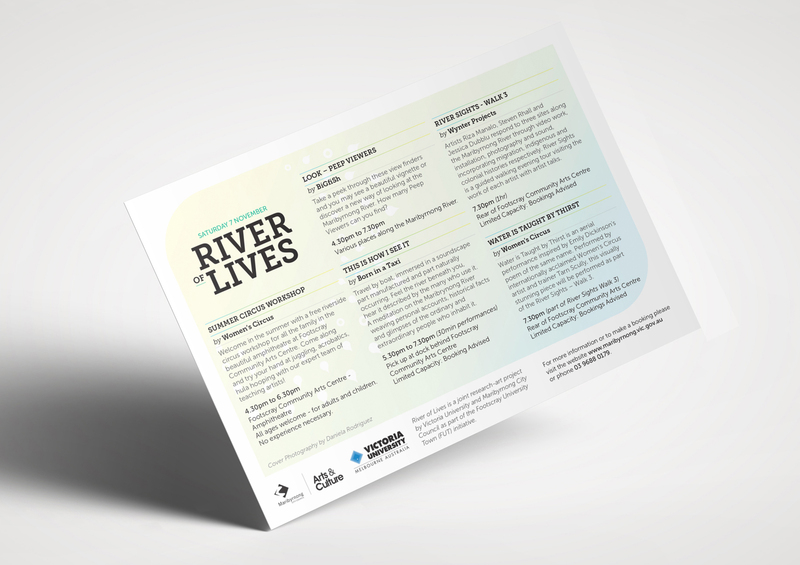 Client: River of Lives is a free family performance event created by Victoria University students and hosted by Maribyrnong City Council. Brief: Commissioned by the Arts and Culture department at Maribyrnong City Council, our task was to produce a dynamic and eye-catching event identity which utilised an image supplied by a local photographer. Solution: Bright colours, and a strong heading lockup were used to create a vibrant and fun identity which captures the animated characteristics of the event. 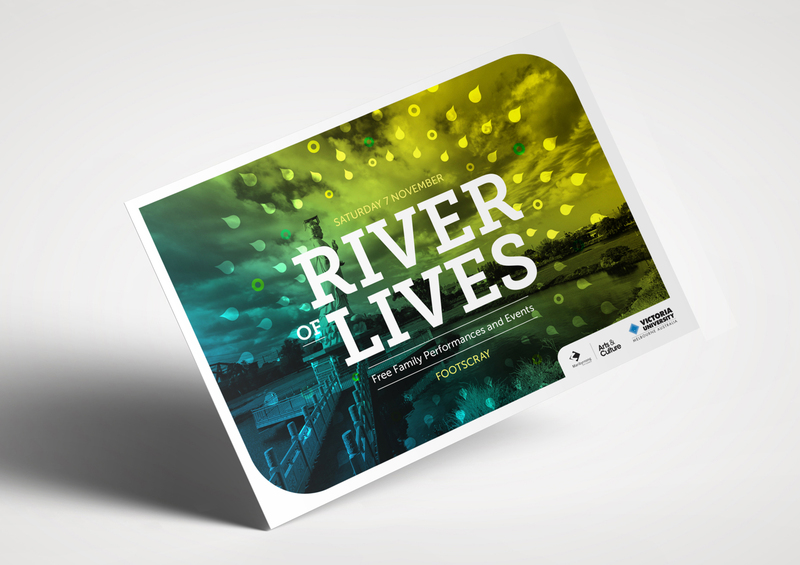 Result: River of Lives was an extremely popular event with crowds lining the river to watch the show and engage in the artwork.